If you are looking for affordable home insurance quotes, look no further than the insurance experts at Five Brothers Insurance. We have been serving the personal and commercial insurance needs of Florida residents and business owners for decades, and we are perfectly poised to provide you, your family and your business with all of the policies you need to protect your most valuable assets. 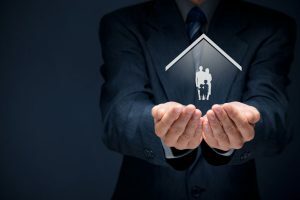 Because we have remained an independent insurance agency throughout the years, we are able to provide clients with a broad assortment of home insurance quotes from a wide range of the world’s most respected insurance carriers. Rather than partner up with a large carrier in an effort to offset agency costs, we feel it is important to maintain the integrity that independence brings. It allows us to effectively shop all available policies to ensure that our policyholders have the policy options that best meet their unique set of circumstances. Whether you are ready to purchase a flood insurance policy or simply want to requests quotes for any of the other insurance policies in our policy offering, we can help. Our skilled and experienced agents are the most trusted around, and we have the expertise to provide recommendations for any of your insurance needs. If you live in Tampa, St. Petersburg, Clearwater, Dunedin, Tarpon Springs or the surrounding areas and are looking for home insurance quotes, flood insurance quotes or quotes for any other personal or commercial insurance need, contact the expert agents at Five Brothers Insurance today. We are family owned and operated and look forward to providing you with the dedicated service you deserve from your insurance agency. At Five Brothers Insurance, our policyholders are family, and you’ll always have agent support when you need it most!